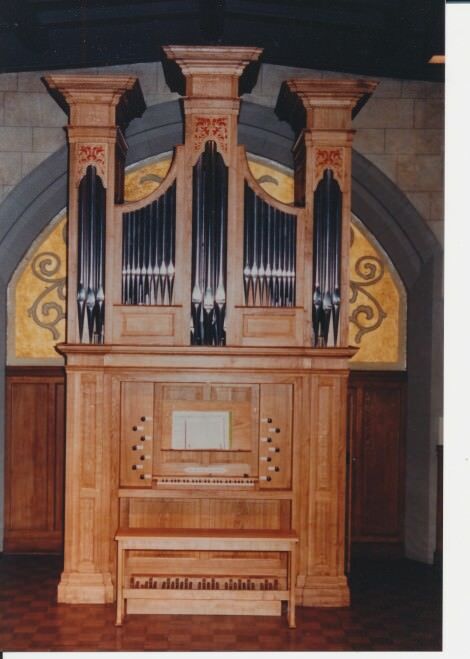 This is a new organ made in 1986. It was based on the organs of Richard Bridge at Christ Church Spitalfields (1735) and St Leonard Shoreditch (1756) in London. The case is based on the Richard Bridge organ at Holy Trinity, Newport, Rhode Island, USA (1733). The organ stands in a separate side chapel of this large downtown church. The Stopt Diapason has the same scale as the Open at the same pitch.